Our featured animal of the month is Molly! Molly is such a loving and sweet cat! With her gentle, quiet soul it may take her a minute to feel comfortable but once she does, she just wanted to be near her humans. She really enjoys getting loves and pets along being brushed. She has a lovely muted meow that she doesn’t use often. She is as beautiful, with bright green eyes & wonderful tiger tabby markings on her face. She’s still a curious senior and like to play with toy mice and balls. She is good with older children that are respectful. She also likes other cats. She has always been with her brother, Pete, so they must be adopted together. 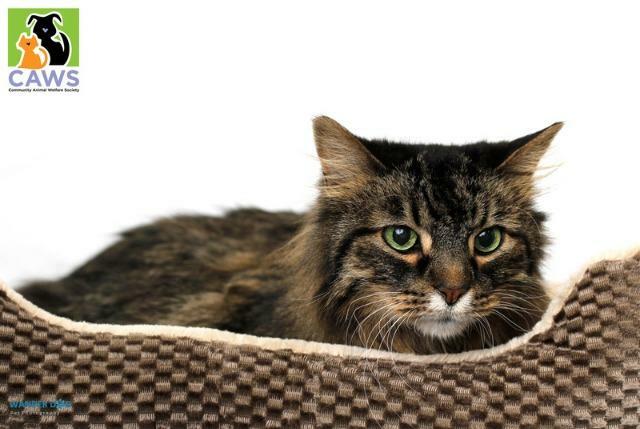 They would prefer a quiet home where they will be loved and cherished forever cats. Visit caws.org to find out more information or complete an adoption application for Molly!